Film Jerks is the angry book club of the movie podcast world. Everyone (you included) is given a choice of three films currently streaming on Netflix. Whatever gets the most votes gets covered by the Film Jerks panel. 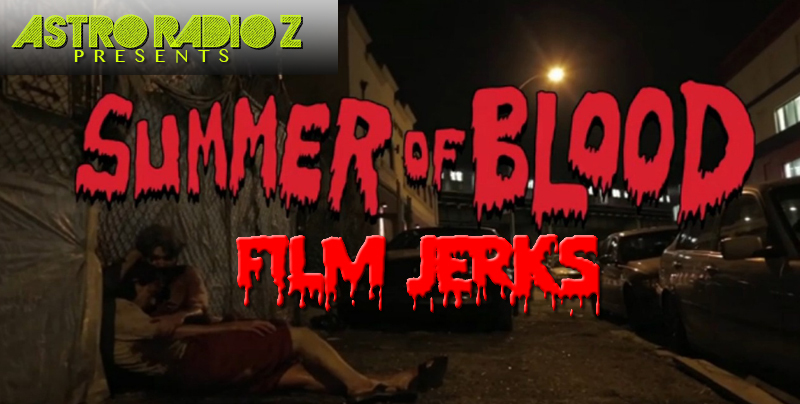 This time, the film is Onur Tukel’s indie horror comedy, SUMMER OF BLOOD, a Woody Allen-ish tale of a New York creep who becomes a sexual Lothario after being bitten by a vampire. On this episode, I am joined by host Mark “the Movieman” Krawczyk, BFD Glenn Buettner and Papa Film Jerk himself, Derrick Carey. The episode does contain a bit of language so please, make sure you’re an adult before listening.